In an effort to help create educational opportunities, improve water quality and create a unique wildlife habitat, Pied Piper Services is proud to announce our cosponsorship with the new Eufaula Wetland Project. As a local business, we are dedicated to the enrichment of Eufaula and are excited to lend our support. 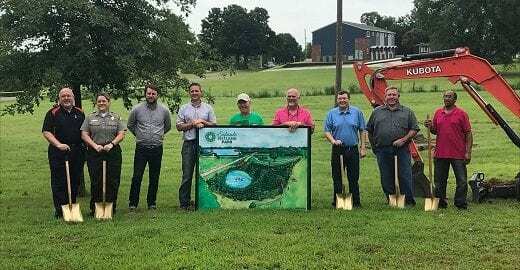 As a cosponsor, we were fortunate enough to attend the recent groundbreaking ceremony for this important project and look forward to the many benefits this area will provide the City of Eufaula and beyond. The future location of the Eufaula Wetland Project will reside at the area of Broadway and Belt, less than a mile from Downtown. The 2.5-acre area designated for the Eufaula Wetland Project already retained water, making it a perfect fit. To conceptualize the idea, architectural landscape students from the University of Oklahoma were able to determine their own concepts, work on their design and eventually present them. Prior to this, the logistics and initial hydrology research had already been performed. The initial groundbreaking ceremony for the project began on July 30, 2018. 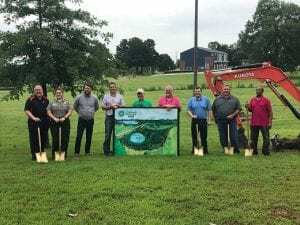 Pied Piper Services is proud to be a part of this educational and recreational opportunity that will enrich the City of Eufaula to provide extended opportunities for those both in the area and spending time at Lake Eufaula. In addition, this area will provide a needed habitat and sanctuary for various wildlife in the area that they are in need of. 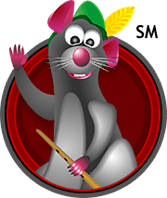 Pied Piper Services trains our pest control specialists in the best and most modern green pest control solutions as well as the latest technologies to ensure proper product application. So, it only makes sense that we would work to help provide assistance in projects that also strive to meet this goal. We hope you will stay up-to-date with the Eufaula Wetland Project and help us continue to provide extended support to this fantastic addition to our great city.